Copper prices hit a 16-month high yesterday, seeing annual rises of 140-150% for the year, as reported by Reuters on Mineweb.com. Another story reports that RBS predicts that among the commodities, "copper is the most likely to hit a new record high" in 2010. 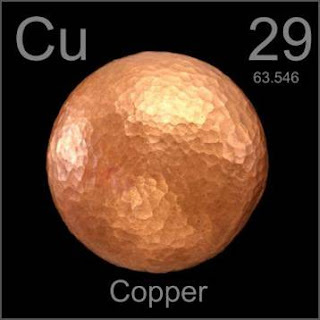 Arizona produces about 65% of the copper used in the U.S. The value of copper production in the state helped make Arizona the number one mining state in the nation for the past four years. Earlier today, I blogged about a Reuters report that yesterday's magnitude 5.8 Mexico earthquake did not trigger the seismic monitors at the Palo Verde nuclear generating station west of Phoenix [right]. One of the geobloggers (Ontario-geofish) called this further proof that the monitors don't work. I brought this claim up to my personal seismological advisor (also my wife, Ann Becker, MS Stanford, PhD Berkeley) over dinner tonight, and she said to not jump to conclusions. She's worked on the Humboldt (CA) nuclear plant and Yucca Mountain among many other projects and pointed out that Palo Verde is a 'stiff' structure that will ride out long period seismic waves while short period waves are more of what they are typically most concerned about. 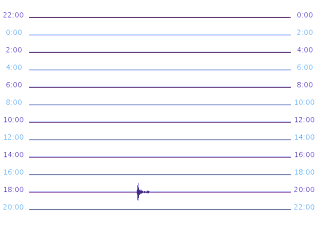 If I'm quoting her correctly, P waves are shorter period and thus potentially more of an issue, but they only carry a very small part of the energy of a quake and die off quickly with distance. Given the distance of the yesterday's quake from Palo Verde, it would not surprise her if the plants seismic monitors were not triggered. 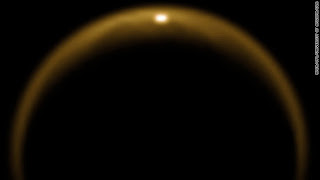 They would more likely be set to respond to nearer high-frequency events where the P wave or other sources could produce enough energy in the right wavelength to be a potential problem. Now, this is just idle discussion over dinner. I haven't talked with anyone at Palo Verde, but it's a reasonable explanation for yesterday's events. The monitors would not have been triggered because the short-wavelength energy was too small to reach the minimum threshold of concern. 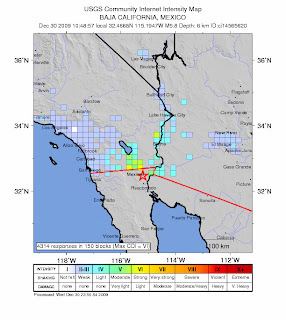 The USGS posted a short podcast today talking about yesterday's magnitude 5.8 quake in northern Mexico that was felt across much of southern California and southern Arizona. Click to listen. USGS Director - sexiest geek of 2009? Okay, here is one of the stranger stories for closing out the year. Wired magazine is holding its annual Sexiest Geeks of 2009 competitions. Anyone can nominate and vote. Most of the candidates are celebrities who have some supposed geeky aspect to them. Among the candidates however, are some real scientists, including the recently appointed Director of the USGS, Dr. Marcia McNutt. The photo they submitted [right] is one that came from the Monterey Bay Aquarium Research Institute site, which she previously directed. 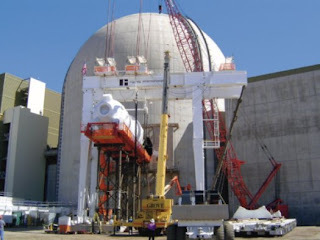 Reuters reports that Palo Verde nuclear plant [right, credit Palo Verde NGS] , about 50 miles west of Phoenix, told the U.S. Nuclear Regulatory Commission that Wednesday's magnitude 5.8 earthquake did not register on the plant's seismic monitoring equipment. The blog, Ontario-geofish, which is highly critical of the nuclear power industry, is saying this is further evidence that nuclear seismic monitors don't work. However, the Arizona Integrated Seismic Network (AISN) station at Wintersburg (Z14A), which is near Palo Verde, did record a strong clear signal from the quake [right]. 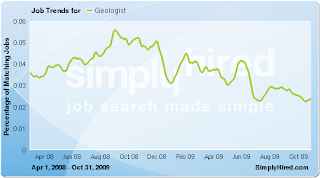 Geologist jobs have decreased 33% since April 2008 while hydrologist jobs have gone up 30% over the same period. 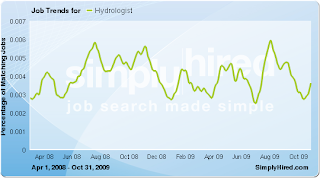 The Simply Hired website lets you plug in any occupation and see the trends for the past 18 months. Meanwhile, US News & World Report this week included Hydrologist as one of the 50 best careers for 2010. Thanks to Geology.com for the Simply Hired link. Did you feel today's Baja quake? The USGS maintains a web site where you can report if you felt today's M5.8 earthquake and indicate how strong the shaking was. As of 4:30 pm, it looks like about 100 reports have come in from all over Arizona. The Phoenix's Channel 15 (ABC) also reports that it was felt across that region. The Yuma Sun quotes a local resident as reporting minor damage to his 1940's vintage brick home as a result of today's M=5.8 quake in northern Baja, Mexico. Unreinforced masonry is typically one of the types of construction most vulnerable to seismic shaking. 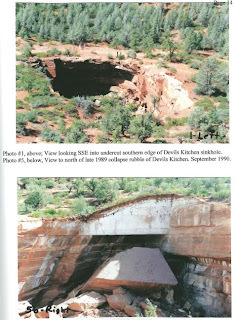 There are areas of the Devil's Kitchen sinkhole north of Sedona that are identified as being high risk due to the potential for imminent collapse. The Winter issue of our newsletter Arizona Geology, was posted online today with a feature story on the Devil's Kitchen sinkhole, by consulting geologist Paul Lindberg. Paul is working on a more comprehensive formal report to be published by AZGS. The Devil's Kitchen sinkhole is one of at least seven known features in the area. The first recorded collapse occurred in the early 1880's according to local residents, with a second historical collapse in 1989. Paul's article includes a number of photos, maps, and geologic cross sections. It's a fascinating read. 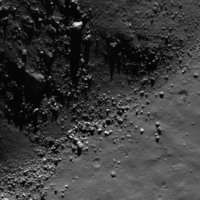 But it also identifies critical areas around the rim that Paul characterizes as high risk of imminent collapse. This morning's magnitude 5.8 Baja earthquake sent seismic waves rolling across Arizona and elsewhere. You can examine the last 24 hours of records at any time at our webpage for the Arizona Integrated Seismic Network [right]. The figure at bottom shows today's event as recorded on station TA 113A (Mohawk Valley), the closest to the quake epicenter. A magnitude 5.8 earthquake hit northern Baja this morning, 10:48 am local time (11:48 Arizona time) about 20 miles south of the US border. Aftershocks are continuing with the largest so far at magnitudes 4.9 and 4.0. 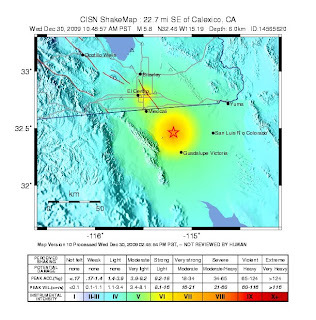 The USGS estimates the main shock caused light ground shaking in the Yuma area. 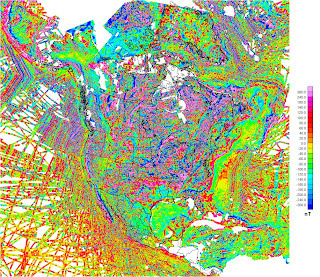 The AZGS' Earth fissure mapping program is undergoing changes. Geologist Joe Cook is taking over as project manager from Dr. Todd Shipman, who relocated to Edmonton, Alberta for family reasons. Joe will lead the fissure mapping team along with other duties including mapping of Holocene river alluvium for the AZ Dept. of Water Resources. With recent budget cuts, Todd's position will not be replaced and we have to scale back state-funded activities. Thanks in large part to Todd's dedication and perseverance, the fissure mapping is ahead of where we projected, with all of the original study areas complete in Maricopa and Pima counties, and only a few left in Pinal County. We have well-established guidelines and procedures in place that are the most comprehensive and thorough in the country. So, we express our graditude to Todd for his tremendous contributions and wish him well. 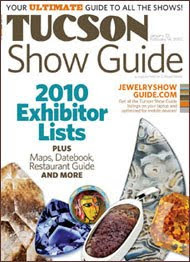 The JewelryShowGuide.com site has posted a dynamic online map for the dozens of independent gem, mineral, and fossil shows that will run from January 21 -February 15 in Tucson. 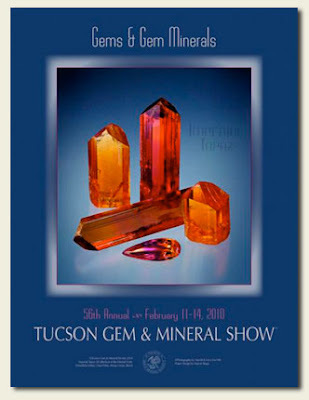 At least 40 separate shows are planned, culminated by the world-famous 56th annual Tucson Gem and Mineral Show, February 11-14. Thanks to Geology.com for spotting this. 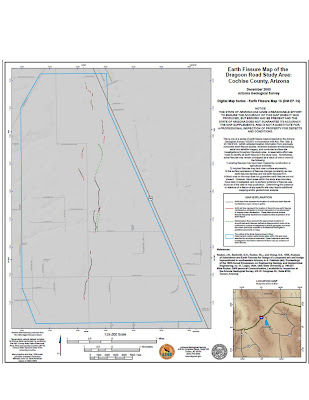 AZGS has released new Earth fissure maps for the Dragoon Road Study Area in Cochise County [right] and the Greene Wash Study Area in Pinal County. In the Dragoon Road area, AZGS geologists identified more than 3.5 miles of continuous and discontinuous earth fissures. The fissures constitute a narrow network of north‐south trending features, from just south of the intersection of Dragoon Road and S Cochise Stronghold Road, north towards the intersection of W. Haywire Road and U.S. Route 191. An additional two miles of reported but unconfirmed fissures are shown on the map. This includes nearly 3000 feet of fissure previously known to underlie the ash and sludge storage ponds at the Apache Station Combustion Waste Disposal Facility operated by Arizona Electric Power Cooperative. (The storage ponds are situated at the southwest end of Willcox Playa, just east of South Cochise Stronghold Road.) Fissures were first reported there in March 1993 and 1200 feet of fissure were mapped during the permitting stage of the storage ponds. 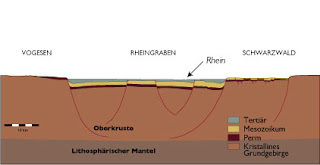 At the same time, a geophysical study identified a buried, incipient fissure that continues north to the north section line of Section 04, T16S, R24E. Because of the earth fissure, the storage pond system constructed in 1994 was modified to include a second geomembrane liner. 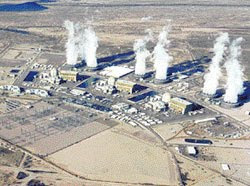 In June 2009, the Environmental Protection Agency posted a “High Hazard Potential rating” for the seven Apache Station Combustion Waste Disposal Facility ponds. This rating does not infer problems with structural quality, but simply indicates the potential for loss of life should the containment fail. The Greene Wash area, located about six miles south of Arizona City, hosts 3.5 miles of identifiable continuous and discontinuous earth fissures. Reported but unconfirmed earth fissures total an additional 5.5 miles. Some of the unconfirmed fissures occur in active farmlands, where seasonal plowing can obliterate the surface expression of fissures. 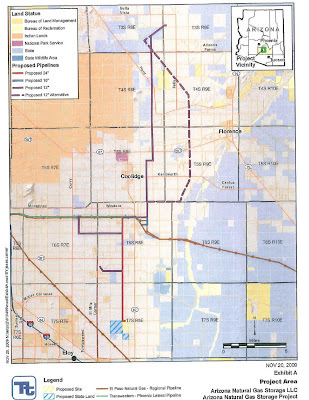 A proposal has been filed with the Federal Energy Regulatory Commission to develop a natural gas storage facility in underground salt deposits northeast of Eloy in southern Arizona [right, proposed site is shown in blue and yellow striped boxes near bottom of map. Credit, AZ Oil and Gas Conservation Commission] If approved, it would be the first such facility in the state. NGS Energy LP has set up Arizona Natural Gas Storage LLC (ANGS) to create up to 8 salt caverns under the 1,050 acre site on private and State Trust lands. The facility is intended to eventually have storage capacity of 20 billion cubic feet (Bcf) of natural gas. The project would construct 27 miles of pipelines to connect to regional pipelines to supply gas-fired electric power plants. ANGS plans to dissolve the caverns in the salt and dispose of the resulting brine by evaporation from 350 acres of surface ponds on the project site. Joaquin Ruiz, executive dean of the University of Arizona's College of Letters, Arts and Science and professor of geosciences, will be admitted into Mexico's National System of Researchers, known as SNI, by Mexico president Felipe Calderon in a Spring ceremony. For the first time in SNI history, the organization has opened its membership to outstanding Mexican scholars living abroad. The announcement from the Univ. 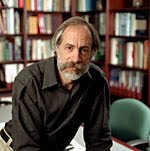 of Arizona noted that Joaquin "is well known for his research involving the formation of metallic ore deposits. In particular, he studies the factors responsible for the origin of ore-forming elements in copper and gold ore deposits at or near the earth's surface. His work has revealed that gold deposits also offer a method for studying the evolution of the atmosphere, specifically how the oxygen concentration has changed through time. He also is an expert in the tectonic evolution of southern Mexico." 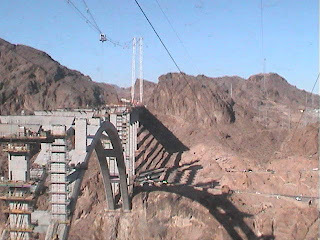 I just learned about the web cams at the Hoover Dam bypass bridge over the Colorado River. There are views from both the Arizona and Nevada sides and the ability to zoom in. Scotiabank economists predict copper prices "will likely rebound strongly in 2011 and move substantially higher (to at least US$3.30 and possibly as high as US$4.00)" as reported on Mineweb.com. This presumes speculative trading in China will ease this year and keep prices at around a $2.95 average. Demand for potash [right] is forecast to pick up in the first half of 2010 and dramatically strengthen in the second half, with potash prices (FOB Vancou ver) likely averaging about US$375. 2010 is seen as a transition year to a much stronger 2011. [there is an active exploration program underway in Arizona's Holbrook basin where as much as 25% of the US resource base lies according to an AZGS report from last year]. Interestingly, China is a big factor in the world potash market as well. Scotiabank said, "China continued to apply potash to fruit and vegetable crops this year, but under-applied potash to grain and oilseed crops, which likely contributed to a 7% decline in this year's corn crop. The soil in China is potassium deficient and increased purchases of pink potash are needed." The USGS Astrogeology team in Flagstaff released a new mosaic of the planet Mercury at last week's AGU meeting, showing the 55% of the planet never seen by humans before. 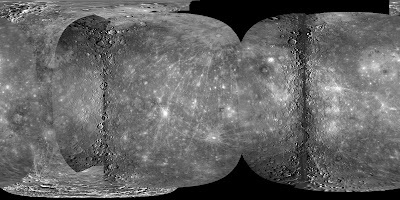 The imagery came from the MESSENGER spacecraft that completed its third and final fly-by of Mercury in September. The 3-year project will build on SDSC’s OpenTopography portal which grew out of the GEON project. The facility will handle “raw LiDAR point cloud data, standard LiDAR-derived digital elevation models, and easily accessible Google Earth products to better serve LiDAR users at various levels of expertise." 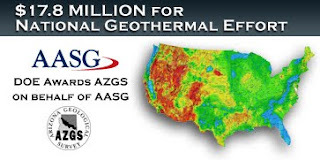 The GEON/OpenTopography team are partners with AZGS in another NSF project to develop the Geoscience Information Network. 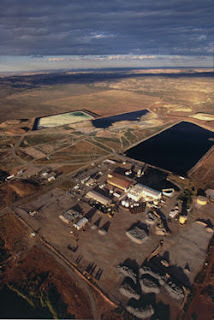 In a press release today posted on Mineweb.com, White Canyon Uranium Ltd announced that they delivered their first ore from thneir Daneros mine to Denison Mines White Mesa Mill in Blanding, Utah. 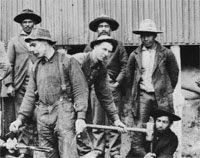 White Canyon claimed the title of the "first new producer of uranium in Utah, USA." 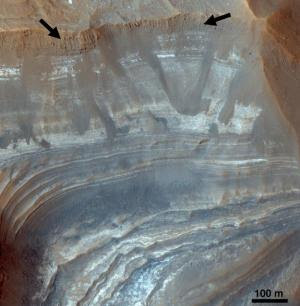 A team headed by Catherine Weitz at Tucson's Planetary Science Institute reported at last week's AGU Fall Meeting that they found evidence for multiple processes on Mars that led to water-related geologic features being formed. Light-toned layered deposits (LLDs) "vary morphologically and mineralogically throughout Noctis Labyrinthus suggests that there may be multiple processes with variable amounts of groundwater that are responsible for emplacement and evolution of distinct units in each pit. Our results indicate that transient, isolated and relatively small bodies of water were capable of leading to the accumulation of LLDs in this region." A story on Science Daily reports the researchers found evidence for a complex hydrologic history, involving multiple depositional events, and significant volumes of water. Geoscientists went through 175 kegs of beer at the AGU meeting in San Francisco last week. Wired magazine interviewed folks on the exhibit floor during the daily 4 pm rollout of free beer to find out why geologists love beer. It ain't rocket science folks. But I cringed listening to some of the explanations. Do you suspect a few folks must have been worrying what their bosses would think about them sucking down the suds on company time and expense? If the truth be known, it may not be that geologists love beer, but beer lovers are more likely to become geologists. The Arizona Legislature adjourned it's 3 day special session on Saturday with the latest round of budget cuts and fund transfers sent to the Governor for her signature. The AZGS will take another 7.5% reduction of our General Funds appropriated by the state. In addition, the State will take $48,200 from contracts and grants awarded to the AZGS for specific projects. To avoid cancelling the projects and losing many times that amount of funding or going into default for noncompliance, we will have to cut back elsewhere and shift funds around. Combined, this newest budget reductions amounts to the equivalent of 13% of our current state appropriation. Cumulatively, in the last 18 months, we have now taken net cuts equal to about 45% of our state appropriation at the start of Fiscal Year 2008. We continue to seek external funding to replace state funds and subsidize our state-mandated statutory duties. And we've been pretty successful. Two-thirds of our budget comes from grants and contracts now. However, this new approach of 'sweeping' up our contract funds could shut down that business model. Yesterday I ran into Lisa Gaddis from the USGS Astrogeology Branch in Flagstaff. She had a small crowd around her at her poster at the AGU meeting in San Francisco, showing some of the most detailed images from the Lunar Reconnaissance Orbiter Camera (LROC), managed by Arizona State University. Lisa shared with me the news that the LRO team is looking at moving the orbiter into a higher, more circular and more stable orbit after it's primary tasks are complete. This will reduce image resolution to 2 meters (still pretty impressive) but it will offer the spacecraft a much longer life. This could result in virtual 100% coverage of the moon at 2 m resolution vs the current 10-15% coverage by LROC at the 50-cm scale. If NASA buys off on extending the mission this way, Arizona's planetary scientists are going to have a lifetime's worth of amazing lunar geology to map. I caught the direct flight from Tucson to San Francisco last night for the American Geophysical Union meeting. It was one of the smaller planes - 48 seats- and I sitting at the back where it was less crowded and I could work on my presentation on my laptop. We took off at dusk and about halfway through the flight, I looked up the aisle in the dark plane and all I could see were a line of laptops lit up with powerpoint presentations to be given at AGU. Just glancing around, I saw some dazzling slides. One on Dark Skies looked spectacular! Made me re-look at some of my now drab slides and think about ways to punch them up. Attendance at the meeting is reportedly over 16,000. I speak tomorrow about dramatic developments in the past year that are leading "Towards a Global Data Network in the Geosciences." After an early morning breakfast with AGU Editors, I'll be meeting with project partners and collaborators on our growing set of contracts and grants in geoinformatics. 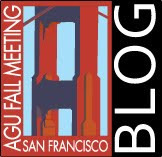 And checking in with the new AGU blogging center. Geobloggers are gathering for lunch today - it's becoming an important communications tool even while we are still learning what we can do with it. Brian Swoboda at BlueCap Productions passed along this photo of the poster for the 55th Tucson Gem and Mineral Show, scheduled for Feb. 11-14, 2010 in Tucson. "a concentrated effort of Gene Schlepp (Western Minerals) and the TGMS. Copies will be for sale at the show but there will only be a limited number of copies available so you might want to reserve one on the TGMS website. By the way, if you like this poster, send a message to Gene at schlepp@wmtucson.com and let him know what you think!!!" Dr. Kristine Asch from the German geological survey (Federal Institute for Geosciences and Natural Resources or BGR) is in Tucson this week working with Steve Richard and the rest of the AZGS Geoinformatics Section on developing common standards between the US Geoscience Information Network (GIN) and the European Union's OneGeology-Europe data system. 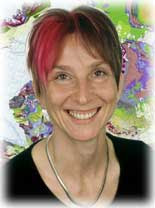 She is the author of the 1:5 million scale International Geological Map of Europe and Adjacent Areas, which was published by BGR in November 2005, and is leader of OneGeology's Work Package 3: 1:1 million pan-European geological data specification, identification and sourcing. Kristine also chairs the Commission for the Management and Application of Geoscience Information (CGI) of the International Union of Geological Sciences which has been responsible for the development of the Geoscience Markup Language, GeoSciML. We are using GeoSciML in GIN. NASA's Mars Reconnaissance Orbiter was taken out of the precautionary "safe mode" last week that it had been in since August. 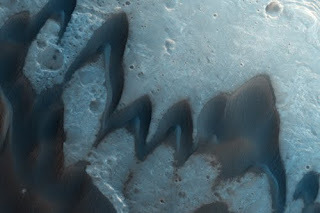 That means the UA-run HiRise camera aboard MRO should start returning new photos soon. Last March, the USGS raised the prices on it's 1:24,000 topo maps from $6.85 to $8 and on the 1:100K scale maps from $7 to $9, but AZGS has kept the old prices in place while we sell our current inventory. But come January, we will have to charge the higher prices as we restock our inventory. So, think about loading up now at last year's prices. And for an added incentive (sales pitch coming...) we are having a holiday sales event with 15% off most AZGS publications and maps. AZGS is the official Earth Science Information Center partner with USGS for Arizona, carrying over 2,000 topo maps of varying scales for the entire state in our Tucson store. Last week's scheduled hearing by the House Subcommittee on National Parks, Forests and Public Lands on HR2944 was cancelled and no new date has been set. The bill, Southern Arizona Public Lands Protection Act of 2009, was intended to prevent the Rosemont copper mine from being developed in the Santa Rita Mountains south of Tucson, by withdrawing all public lands in two counties from mineral entry. But the bill also would ban exploration and development of geothermal energy, a renewable energy source pushed by the White House. Even more problematic was the USFS' determination that the bill would actually prevent any use of public lands in Pima and Santa Cruz counties, effectively shutting down the national forests to hiking, camping, fishing, etc. It's possible that all entry to Saguaro National Park would also be prohibited by the current language. It wouldn't surprise me if the hearing was cancelled while the sponsors rework the bill's language. The first two of an expected 10 new jobs (8 full time, 2 part-time) at the Arizona Geological Survey were posted online yesterday at the State of Arizona employment site. We are linking to them from http://www.azgs.az.gov/employment.shtml. We are hiring a Project Coordinator and Administrative Assistant immediately to help negotiate the $17.8 million conditional award with the US Dept. of Energy and subcontracts with 45 states to deploy the National Geothermal Data System nationwide and populate it with state-specific data. The Project Coordinator position is still being classified by the state HR office, so we only list the job description for the moment. As soon as they verify the salary range we will link to the state job application page. AZGS competed for these ARRA stimulus funds in response to a national solicitation. We are acting on behalf of the all the state geological surveys through the Association of American State Geologists (AASG). All of these will be publicly advertised through the state employment system and announced on the AZGS employment page. The geological and GIS tasks will be mostly handled by existing AZGS staff assigned to the project. In addition, many of the other 45 state geological surveys around the country are expected to hire additional staff to carry out the 3-year project. Arizona experienced 100+ in the past quarter, of which 32 were accurately plotted. Brendan Hodge at the Arizona Earthquake Information Center (AEIC), forwarded this preliminary map of epicenters. Mimi Diaz, who heads our Phoenix branch and is the PI on the AZ Integrated Seismic Network, reports that "The Halloween Swarm had over 100 microquakes, most less than M2.5. All of those are not represented on that map. However, there were a couple dozen in the M2.0-2.5 range that are shown on the map. The Hoover Dam earthquake was a discrete event, the Fredonia earthquake had a foreshock and a main shock, and the Wild Bend event had a main shock and an aftershock." The USGS released the first phase today of a national assessment that estimates "the conterminous U.S. presently stores 73 billion metric tons of carbon in soils and 17 billion metric tons in forests" which is equal to "more than 50 years of America’s current CO2 emissions from burning fossil fuels." They conclude that "U.S. forests and soils could remove additional quantities of carbon dioxide (CO2) from the atmosphere as a means to mitigate climate change. 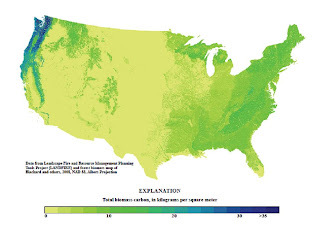 The lower 48 states in the U.S. hypothetically have the potential to store an additional 3-7 billion metric tons of carbon in forests, if agricultural lands were to be used for planting forests. This potential is equivalent to 2 to 4 years of America’s current CO2 emissions from burning fossil fuels." Ref: Sundquist, E.T., Ackerman, K.V., Bliss, N.B., Kellndorfer, J.M., Reeves, M.C., and Rollins, M.G., 2009, Rapid assessment of U.S. forest and soil organic carbon storage and forest biomass carbon sequestration capacity: U.S. Geological Survey Open-File Report 2009–1283, 15 p., available at http://pubs.usgs.gov/of/2009/1283. The pilot project was intended to be the first commercial development of the Enhanced Geothermal System concept where water would be injected into deep (3 miles or more) hot rocks (around 200 C) where it would be heated and returned to the surface to generate electricity. Switzerland cancelled the project today although similar projects are underway in other cities that are viewed as not as seismically active. How much of a chill is this action going to put on the geothermal industry? The news from the mining industry is that Grupo Mexico announced it took control of Asarco yesterday, putting up $2.2 billion in cash and transferring another $1.4 billion from Asarco, to pay off creditors. Grupo also backed a $280 million note to Asarco's asbestos creditors. 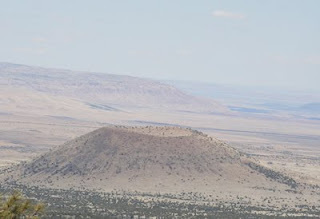 Is the mystery volcano photo of Antelope Hill? The widely-read Eruptions blog posted Mystery Volcano Photo (MVP) #18, originally identified as Missouri Bill Hill. But blogger Erik Klemetti and his readers came to a consensus that the photo is really of nearby Antelope Hill, in the same volcanic field. I'm copying the original photo here, with a call to our local Arizona volcano watchers to weigh in and confirm or correct the Eruptions conclusions. What say you, readers - did they get it right? The total program amount of $7 million is from stimulus funds. 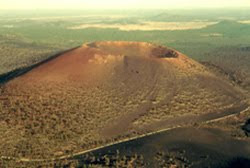 Arizona qualified due to the eruption of Sunset Crater during the years of 1065 -1180, in the San Francisco Volcanic Field near Flagstaff. The American Mining Hall of Fame Annual Banquet and Fundraiser was held at the University Marriott in Tucson on Saturday evening, hosted by the Mining Foundation of the Southwest. The 2009 Inductee and Guest of Honor was Tom Albanese, CEO of Rio Tinto. The turnout for this year's SME Arizona conference at the Hilton Conquistador in Tucson on Monday was huge, although I don't have hard numbers. AZGS Senior Geologist Jon Spencer presented his "Reconstruction of Cenozoic Tectonic Extension in Southeastern Arizona and Implications for Porphyry-Copper Exploration." One of the more interesting tidbits - the Ray mine is adding four new 700-ton capacity trucks to their fleet each year and linking them into a GPS-based system for centralized management. I missed out on the great set of talks to attend the hearing of the Ad Hoc Committee on Mining Regulations in Phoenix. 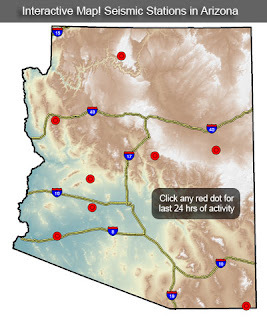 Most of Arizona is now covered with the USGS's "next generation" topographic map, "US Topo." 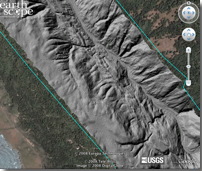 US Topo maps are available free on the Web. 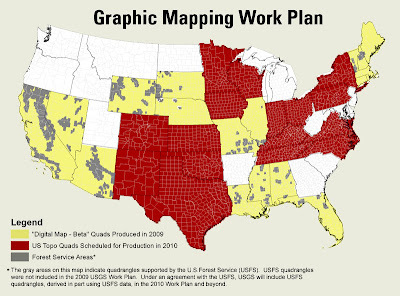 Each map quadrangle is constructed in GeoPDF® format from key layers of geographic data – orthoimagery, roads, geographic names, contours and hydrographic features - found in The National Map, which is a nationwide collection of integrated data from local, State, Federal, and other sources. US Topo users can turn geographic data layers on and off as needed; zoom in and out to highlight specific features or see a broader context; and print the maps, in their entirety or in customized sections, on a wide variety of printing devices. Additional analytical tools are available free for download. File size for each digital 7.5-minute quadrangle is about 15-20 megabytes. Uranium shortage on the horizon? 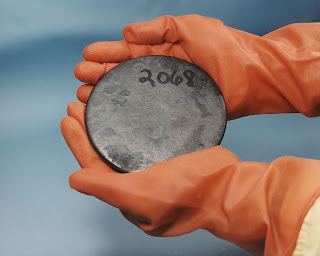 But as demand for new uranium resources increase, different groups predict higher prices, innovative mining techniques, unconventional sources or some combination of them all. Pessimists argue that prices will go so high as to shut down any nuclear renaissance that develops to offer carbon dioxide-free power. Long-wavelenght magnetic anomaly map of the U.S. The USGS has released a revised "long-wavelength (50–2,500 km) content of the regional magnetic anomaly compilation for the conterminous United States by utilizing a nearly homogeneous set of National Uranium Resource Evaluation (NURE) magnetic surveys flown from 1975 to 1981." The authors "created a preliminary, full spectrum, 1.25-km magnetic anomaly grid from a database by combining short-wavelength magnetic anomalies from the North American Magnetic Anomaly Map (NAMAM) and long-wavelength anomalies from NURE using a Gaussian filter centered at 50-km wavelength,... useful for analyzing geodynamic aspects of the crustal and mantle magnetic field that require precise long-wavelength information." The file can be downloaded from the ftp site below. Did comet broil the dinosaurs? UA planetary scientists Tamara Goldin and Jay Melosh have an article published in the latest issue of GSA's Geology that models ejecta re-entering the atmosphere from the Chicxulub impact that may have killed the dinosaurs at the end of the Cretaceous. They conclude that the heat from the ejecta being heated up again was about equal to that of an oven set to broil for several minutes according to a summary at Physorg.com. Tamara and Jay were examining the idea that the ejecta would have been hot enough to start wildfires and wipe out animals worldwide. Instead, the model indicates the pulse may not have ignited the forests but was hot enough to kill lots of plants and animals. 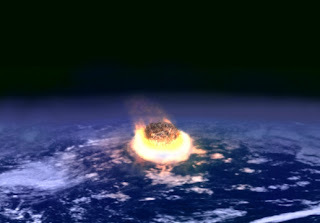 Ref: Self-shielding of thermal radiation by Chicxulub impact ejecta: Firestorm or fizzle?Tamara J. Goldin and H. Jay Melosh, Lunar and Planetary Lab, University of Arizona, Tucson, Arizona 85721, USA. Pages 1135-1138. EPA is considering imposing new financial requirements on hard rock mining in response to historical mining activities that created Superfund sites. EPA and the National Mining Association squared off on the proposal in a forum at the recent Northwest Miner's Association meeting, according to a review on Mineweb.com. They quote Patty McGrath, EPA regional mining coordinator, as saying that "there are many examples where mine operators have failed to make adequate financial provisions for closure costs and this has resulted in the abandonment of sites in unsafe and unacceptable environmental conditions. In these cases, state and federal agencies bear the financial burden of cleaning up the site." Hard rock mining would be the first industry targeted by EPA. National Mining Associate General Counsel Tammy Bridgeford argued that EPA's plan is based on old occurrences that took place prior to modern mining, reclamation, and environmental regulations and procedures. NMA says increased state and federal financial responsibility requirements are adequate and that EPA's plan is unnecessary and harmful. EPA said they are evaluating requirements of BLM, the U.S. Forest Service, and state agencies before taking action.